A reader's question led us to ask formerly homeless people what helped make the difference for them. The answers range from an addiction-recovery program, help in getting that first home, a good wife and a co-worker in Kansas who "never gave up and never let go." Much of the policy conversation about how to ease homelessness involves people who have never been homeless. 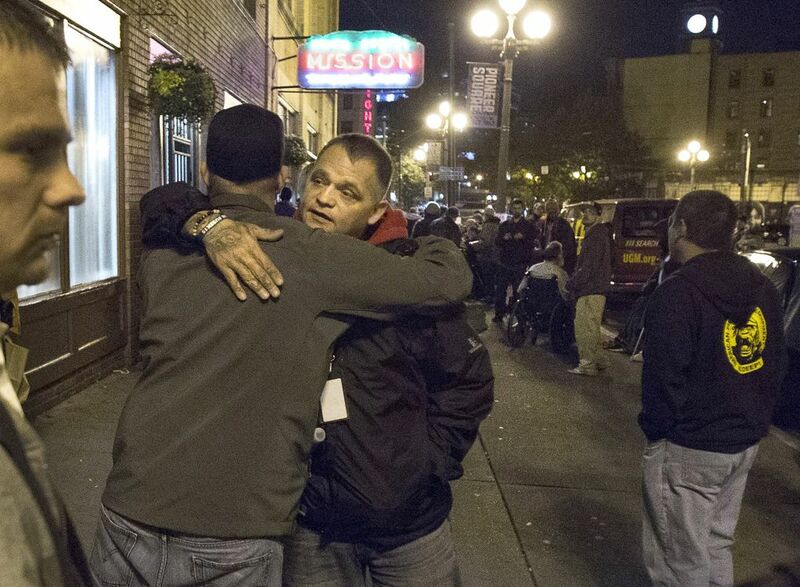 Some people who survived homelessness advise All Home, the group coordinating King County’s response, but it’s rare for most of us to hear directly from someone who got off the streets about what helped to at least start to turn things around. 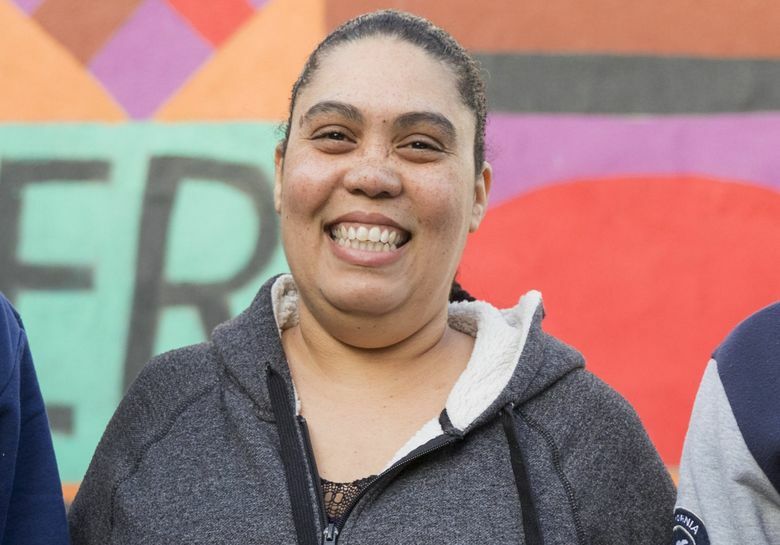 So when reader Kim Roberts asked, “What do people who formerly were homeless but are now housed say about the factors that helped them overcome homelessness?” Ask Project Homeless decided to pose the question. Here are seven answers: Responses have been edited for space and clarity. “I would say that this question implies that once someone is housed again all problems are over. I’ve been homeless multiple times throughout my life and … all of the services that are there to help someone not be homeless anymore stop as soon as the person is housed. Putting a roof over my head did not resolve all of the issues that were contributing factors. I’ve been housed now since 2014. When I first moved into my place, a homeless friend of mine came for a visit and asked me how long I thought it would take me to lose my ‘homeless mentality’? It was a good question and one I was unable to answer. Why don’t police enforce laws against camping in Seattle parks and streets? What would it cost to house and provide treatment for Seattle’s homeless? How many homeless people in Seattle are from here? You can submit your own question here. “I spent most of my life suffering from alcohol and drug addiction. I hit my rock bottom around 11 years ago. I burnt all my bridges, I was alone and isolated away from my family and friends. I found myself homeless on the streets of downtown Seattle. I was hit with the realization that if I didn’t change I would soon end up a statistic. I entered a treatment center, where I stayed for seven months. During that time I was able to begin healing; emotionally, mentally, physically, and most important, spiritually. I was supported by my wife who was kind enough to help me through these dark times. We began to truly get to know each other once again and quickly fell back in love. After getting out of the treatment center I stayed in a transitional home for 30 days. During that time my wife and I searched hard for a new apartment where we could start over. We eventually found something in Beacon Hill. Even 10 years ago the rents were unfair, but we seemed to manage with our newfound focus and dedication for each other. We’ve had a wonderful decade together since. She is my main support and my rock in life. The biggest thing … is being given a chance at permanent housing — not temporary shelter, not case management, not job services, not drug treatment — but housing that they can rely on to access 24/7. “For me there were a few factors that needed to be overcome before I was able to get out of homelessness. Addiction was the first. My addiction stems from a childhood trauma that never was truly addressed. I used drugs throughout my life to cope with pain, and until I learned how to deal with things in a healthy way, my addiction… led me to become homeless. “The easiest way to sum it up is, people. Not just any people — those that don’t judge you, they hold you accountable with grace and love, and they never give up on you, no matter what. That guy for me was Andy Brown. While sleeping on the streets of Wichita, Kansas, I was holding down three jobs to feed my addiction. One of those was a bearing company where Andy was a district manager. He soon found out that I was deep in my addiction to drugs and alcohol. I literally spit on Andy, cussed him out, threatened his life, but he never gave up and never let go. “I experienced poverty and homelessness intermittently for many years because of circumstances completely beyond my control, resulting in my participating in an extremely unhealthy lifestyle. When I was 16, my father passed away and shook my world to its core. I began working on cleaning up my life; educationally, I flew under the radar and easily went unnoticed, though I had been truant for years prior. The courts and the school system were set on forcing me to attend school, but not one person stopped to ask why I didn’t. I was finally identified as McKinney-Vento (homeless and eligible for federal aid) by the school district liaison, but I wasn’t yet 18. I couldn’t access services, nor could I find information on resources that may have been available to me. On my 18th birthday, I was admitted into the HOST program and began receiving services that day. About a year after that, Kim [Rinehardt] began working with HOST. Kim saw past the face I put on for the world and began nurturing my potential. After I graduated in 2014, she told me if I enrolled in college, she would give me a job. “I have been experiencing homelessness since the age of 13. I have lived in cars, tents, trailers and uninhabitable homes that had no water or power. I had to take showers at friends’ houses where they and their families encouraged me to continue my education despite my circumstances. 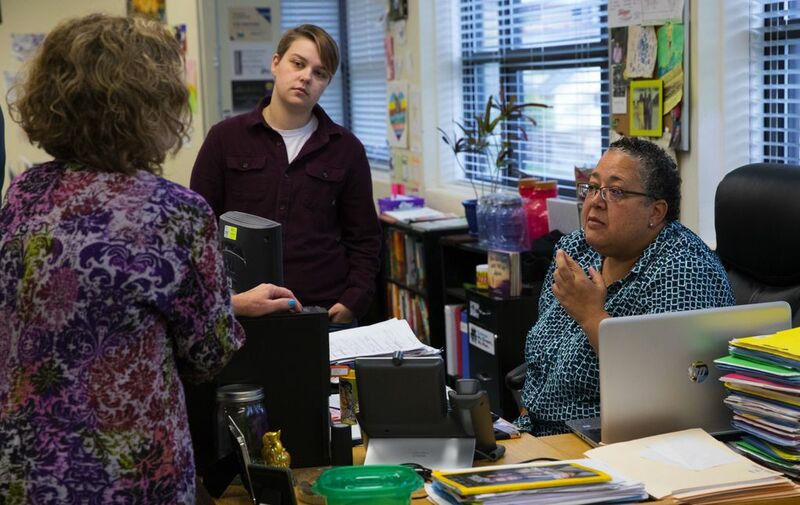 Soon, I started my freshman year at Choice Alternative School in Shelton, which was the very first time I got involved with Mason County Housing Options for Students in Transition (HOST). They helped me get all the little things I needed, like shoes and hygiene products, but I didn’t participate in the program at the time.